Peter Howell's 'Greenwich Chorus' is a lovely, haunting, vocoder piece. 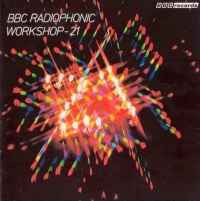 This covers the Radiophonic Worshop's most primitive but inventive period and as such is the best introduction to their excellent work. Featuring material spanning 1958-1971 it's great to listen to works before the greater use of synths, and experience the resourcefulness and sheer logistics that must have gone into Delia Derbyshire's famous 'Dr. Who' theme for example. A number of Electronic Music pioneers are here including Paddy Kingsland, Roger Limb and the aforementioned Delia Derbyshire. Not available on CD yet, which is a crime in itself - where are on this one BBC?